Gooey Pecan Bars - cake mix crust topped with yummy pecan pie filling. Serve warm with ice cream! Perfect for holiday meals! Everyone RAVES about this easy dessert recipe! 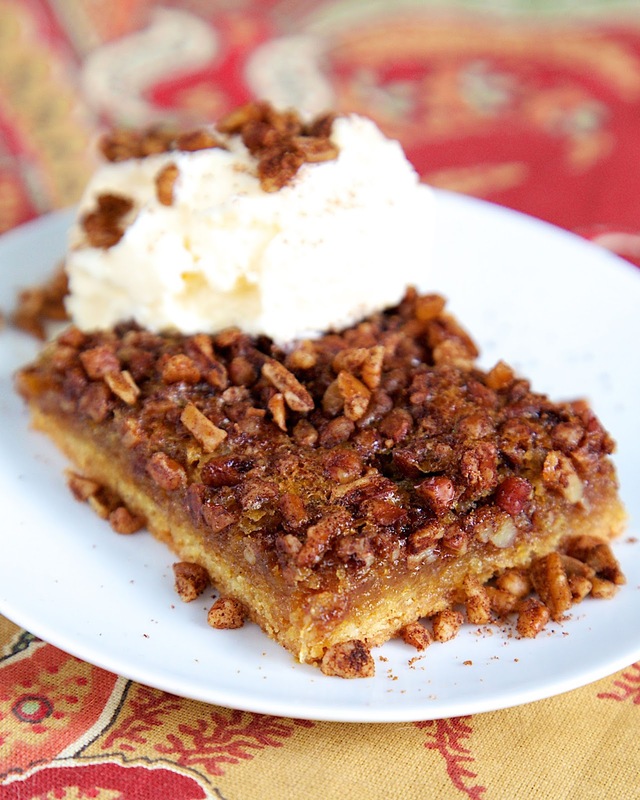 These Gooey Pecan Bars should come with a warning label. They are dangerously good! They are over-the-top good topped with vanilla ice cream! These Gooey Pecan Bars start similar to Gooey Butter Cakes, but the topping is basically a pecan pie filling. I used Cinnamon Amelia's Spicing Pecans in this recipe. The was really good. I wrote the recipe to include cinnamon in the batter. If you use the Amelia's Spicing Pecans, omit the cinnamon in the batter. Reserve 2/3 cup of the cake mix for filling. Mix remaining cake mix, melted butter and 1 egg. Spread in prepared pan and bake for 10-15 minutes (until lightly brown). Mix reserved cake mix, brown sugar, syrup, vanilla, cinnamon and 3 eggs. Beat for 2 minutes and spread over baked crust. Sprinkle chopped pecans over filling. Bake for 30 minutes. Let cool and cut into bars. Serve warm with ice cream! This sounds sickeningly sweet and I will have to make it tonight for dessert. Glad I have all those ingredients on hand. OH MY! I will have to make this! What do you do with the half cup of pecans? It should have said use all the chopped pecans - they go in with the rest of them. I corrected it. Thanks! Oooh! 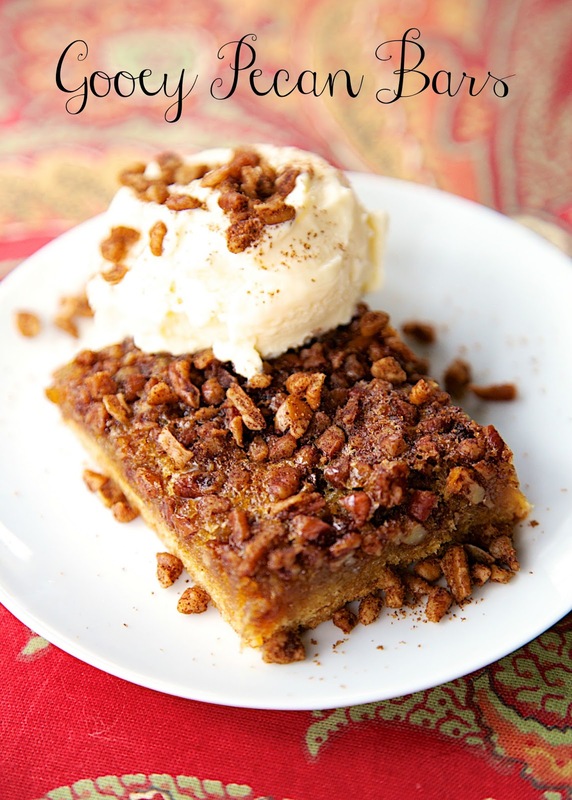 I love the idea of using the cinnamon pecans in this! Definitely kicks it up a notch. mmm over the past few years, pecan pie has become a favorite of mine. I bet that I'd love these! !